Airlines are getting stricter about baggage that people take with them (to cut costs). The number of people that choose to only take hand luggage with them is growing. In our airline luggage restriction table we mentioned a second bag. This can be your laptop bag, handbag, camera bag or another other personal item that is not pat of your main carry on luggage. From our list it’s clear that some airlines accept a second bag while others disallow it. In that case you need to stuff all your travel items in your main carry-on luggage. We suggest you inform with your airline before departure to make sure how many carry on bags you can take with you. These restrictions have led people to find loopholes to get around the limits. People made a special travel vest: Rufus Roo: The BIG Pocket Travel Vest . 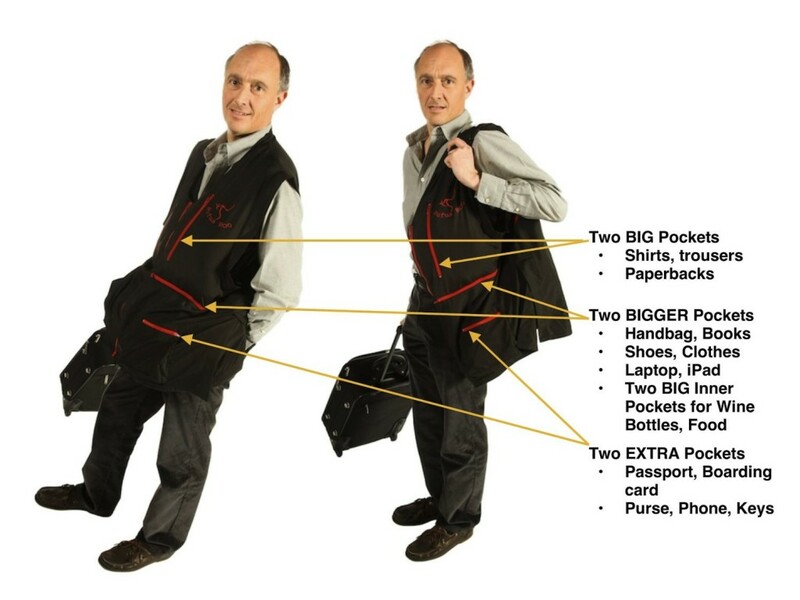 You can wear this vest on a plane, but it has huge pockets that will fit even your laptop. It has to be said you look a bit strange when this vest is full, however it works! We should also remark that people flying in economy class and business class often have different rules applied to them. Most passengers flying in business class are allowed to take extra bags with them. Hi, I'm a pilot for Delta Air Lines with over 20 years of flying experience on different types of planes. Both on domestic as international flights. I have seen a lot of trouble with luggage at different airports arround the world. Let me be your guide in choosing the right luggage when going on a vacation or business trip by airplane. Go on a travel without hassle! Rockland Luggage 20 Inch Polycarbonate Carry On Need to relieve some stress and planning a vacation?